ECOs or not, you got to hand it to Broward judges since they’ve played dirty for a long time whether they’ve been found out or not. There’s a certain sleaze that’s followed the campaigns of Broward’s finest, especially as to fund raising tactics and oily backroom deals with condo commandos. Remember when judges used to run around with checks sticking out of their pockets? It’s the same deal now, they’re just playing the game a little closer to the vest these days. Broward’s the place where dirty politics find their way into everything, especially when there’s a pension involved. In my view, Rosenthal isn’t fit to clean toilets, let alone judge others. She’s proven that more than once lately. The rest of the birds in black will circle the wagons around her anyway because it could be them the next time who get opposition. That’s almost as dirty a word to them as having to go back to working a real job. And Weinstein says Broward needs more judges? He’s the biggest laugh of all. What does anyone expect? Lawyers with talent pay more to the dry cleaner in a year than Judge’s earn. Until something is done like paying Judges a good salary then it will always be what it is. This Rosenthal is a real piece of work! I wouldn’t vote for this chick if she was the only whacked-out broward judge running for the job. She’s running away from something alright. I was sued by a doctor a number of years ago for unpaid medical bills that was settled out of court. Buy stock in the companies that produce xanax and ambien. Both look very attractive right now. If she wins sell 8/27 for a short term gain, and hold indefinitely if she loses for long term profits. If she loses it will be Thorazine time. Rosenthal will win. I have no faith in the system. The old voters all like cattle and do as they are told. It will come down to money and the challenger has none. Jack – ECOs are Electioneering Communication Organizations. They may not “expressly advocate” the election or defeat of a candidate, but the communication must be susceptible of no reasonable interpretation other than an appeal to vote for or against a specific candidate. (106.011(18), F.S.) A person can donate unlimited amounts to the ECO which are not considered contributions to a candidate. In a judicial race where the candidates cannot attach each other, the “independent” ECO serves as a cutout and does the dirty campaigning, while the candidates stand on the moral high ground and say they didn’t send out any attack ads. The ECOs usually have harmless sounding names like “Citizens for a Better Judiciary” or “Citizens for More Responsive Government” [names made up as examples only]. Could one person collect a lot of money from lawyers that don’t like a Judge for an ECO? That way the ECO donor information would show up only in the name of the one person? That way individual lawyers that might be afraid to support the removal of a Judge could help without any risk because the Judge couldn’t trace the money back to the lawyers appearing in court? I’m wondering for a Judge up in 2016. Judge Rosenthal should have taken the tests. Now I’m wondering what if she was hiding something like Marijuana or some other drugs? Xanax crushed up and snorted is a good buzz. Xanax is also good for coming down off Coke or Ecstasy or Mollies. I only take Xanax because they stopped making Valium. I only took Valium because I hate myself. But since I don’t take Valium anymore it means I’m ok and everyone else is the problem. Is Destry up in 2016? Yes, Destry is up in 2016. Why??? C’mon BACDL!!! Let’s start our own ECO! 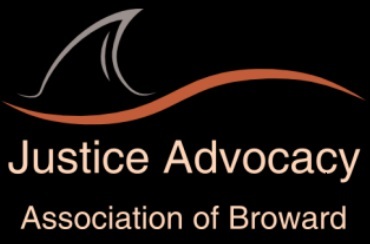 We can all put in a fund to help a good lawyer who wants to do right by Broward fight the Alain Jean’s who have decided our judicial system is for sale. Time to step up! bacdl do anything? Yeah, right. Where you been? bacdl has never done anything but protect bad judges in this town. it’s the worst kept secret around. these jokers are worse than the crappy broward judges they whine about. BACDL might start an ECO, one to defend corruption.